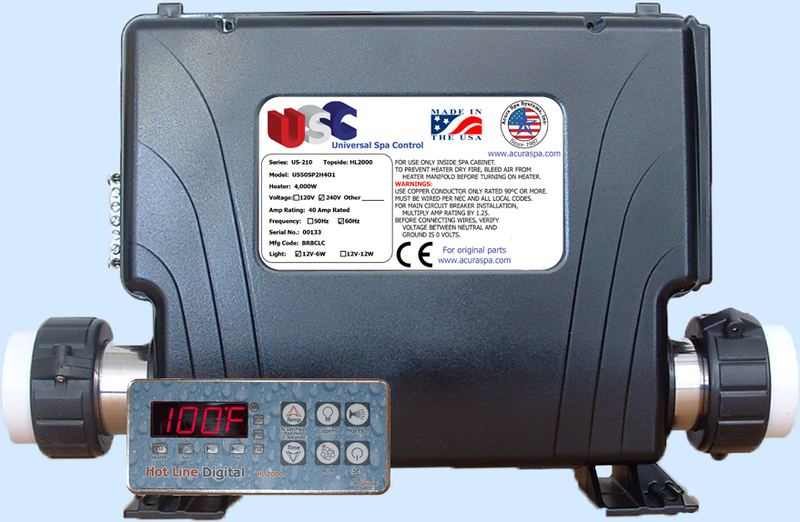 2-Speed Pump, Heater, Digital Control All-In-One! 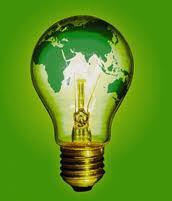 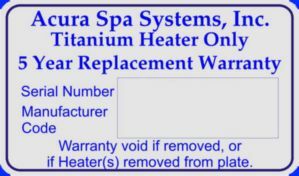 Easy to install: Plumb one pipe "IN", one pipe "OUT"
Energy saving software, industry safest electric heater! 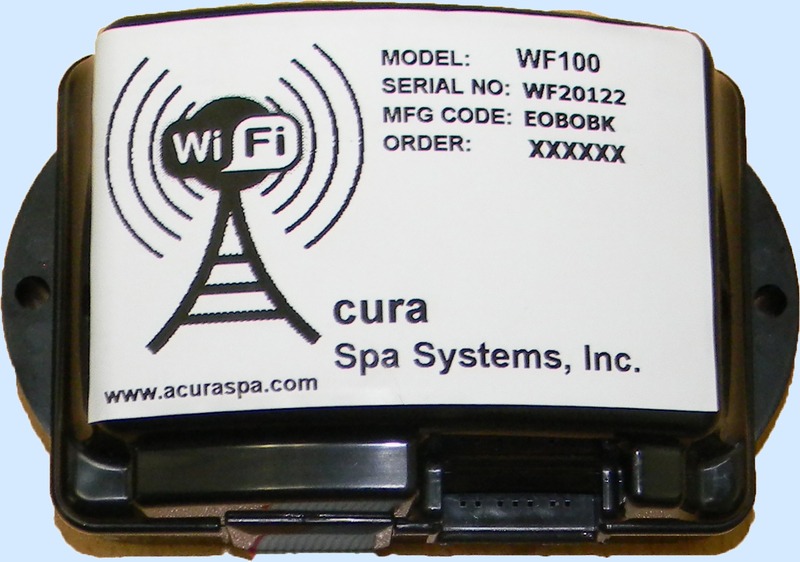 Relax and Enjoy Your Rejuvenated Spa! 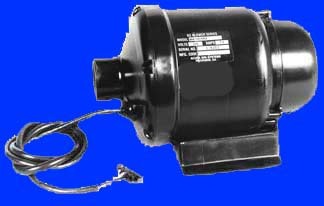 Not All Heaters Are Created Equal! 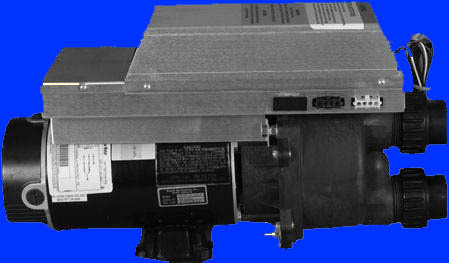 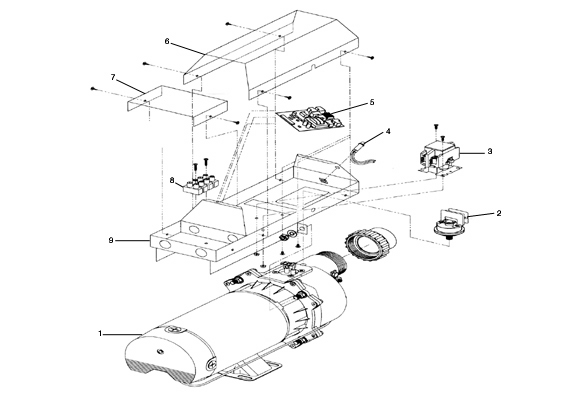 The CHL 5.5kw heater is 73" long. 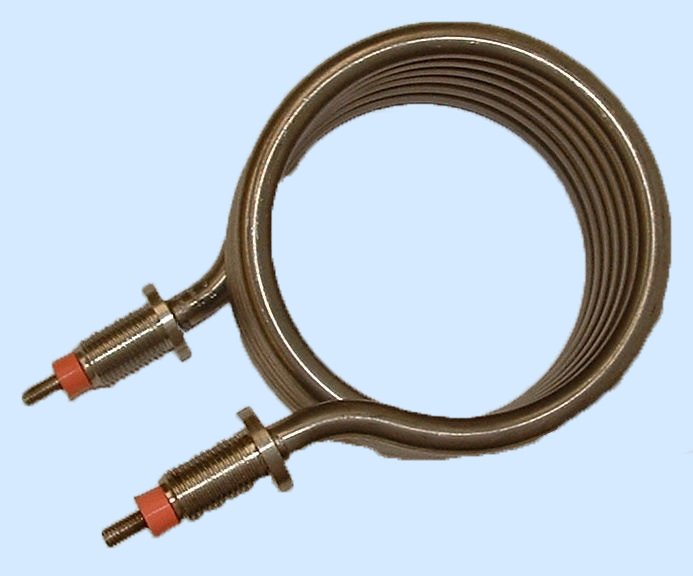 An industry standard heater is only 39" long. 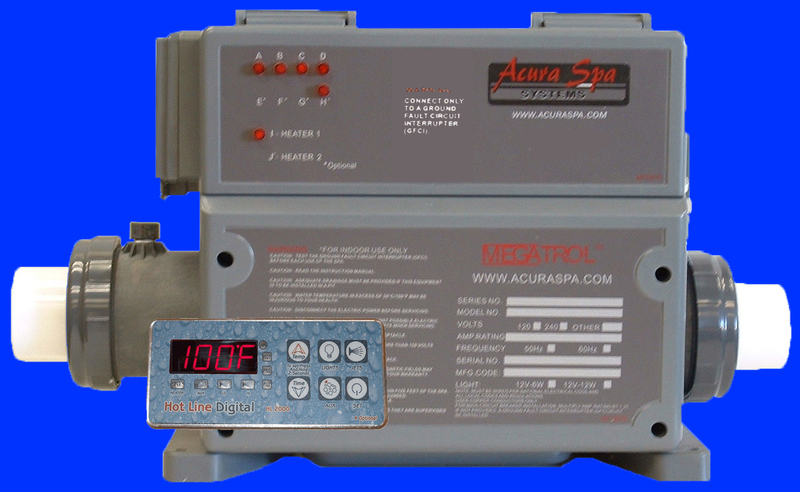 Dimensions: L=21¾" (without Unions) x H=12" x W=6½"
Dimensions: L=23¼" (with Unions) x H=12" x W=6½"
The CHL Digital Spa Pack is designed to power Portable Spas at all levels with 1.5" plumbing, one pump and a blower. 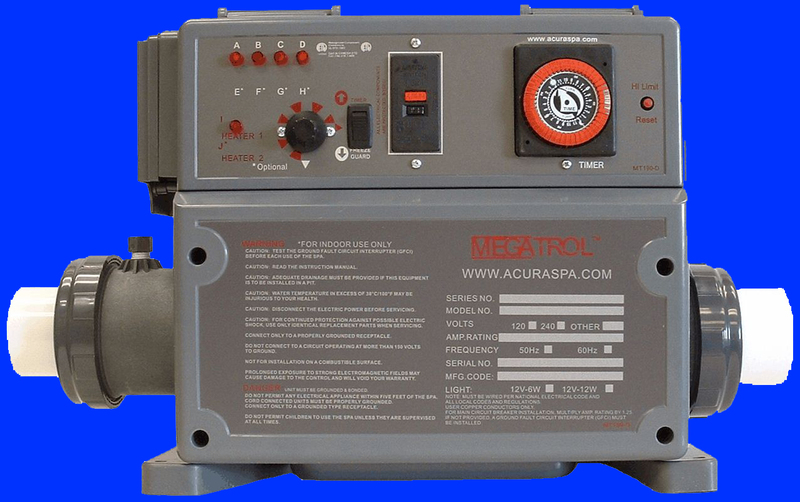 This unique, compact and inexpensive design is the perfect solution to retrofit and upgrade your old spa equipment with the latest digital technology available for portable spas. 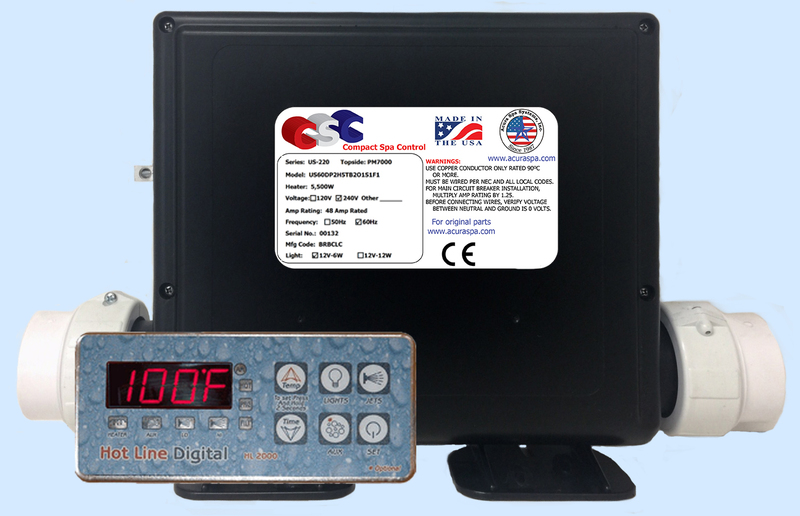 The CHL Digital Spa Pack comes with one pump, a 5,500 watt heater and a digital control all in one unit and it takes less then 30 minutes to set it in the equipment bay of your portable spa. 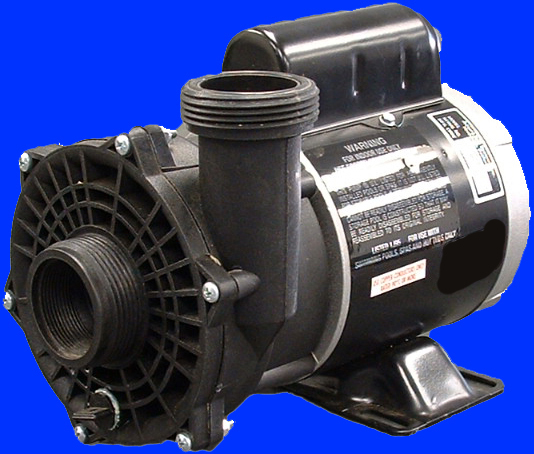 You only need a 1.5" pipe from your spa to connect to the suction of the pump and another 1.5" pipe to connect to the discharge of the pump. 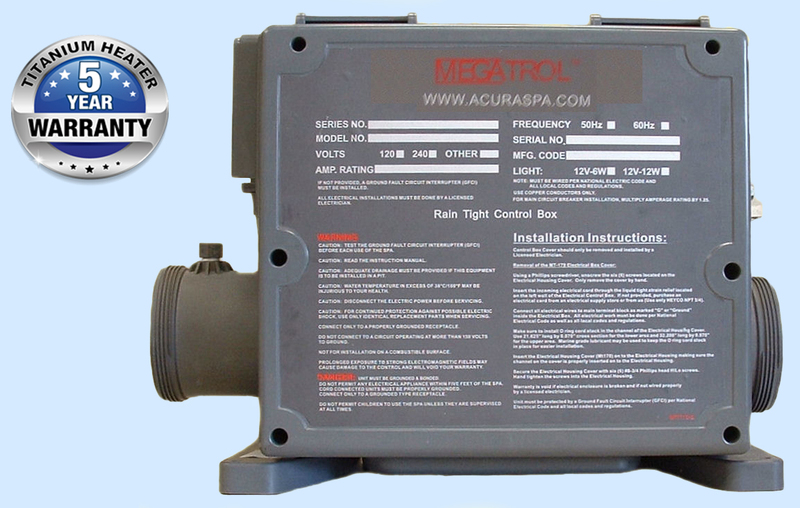 Install your spa side control, connect the electrical, fill the spa and spa plumbing with water and enjoy your spa. 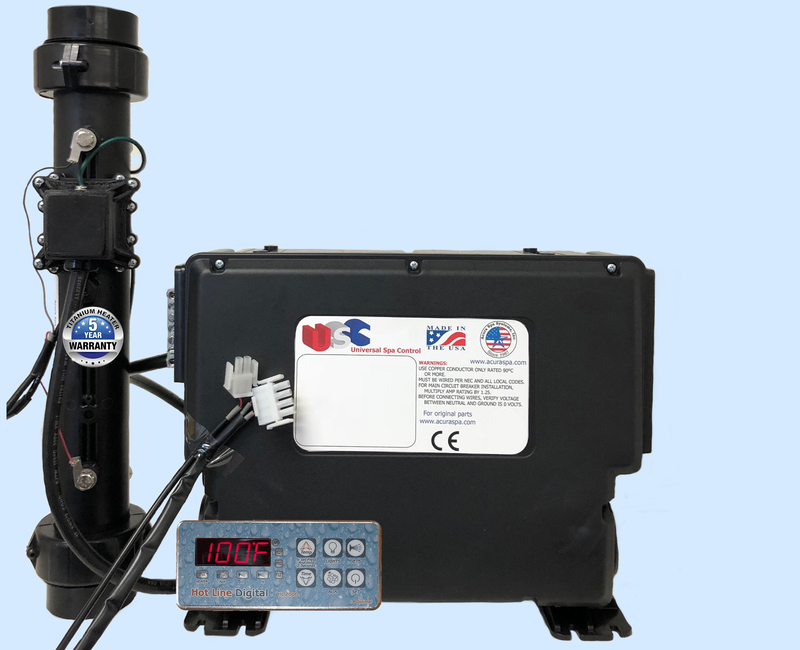 The Mega e-Saver digital control is also equipped to drive a pump, blower, water purification system, stereo, fiber optic lighting and other accessories. 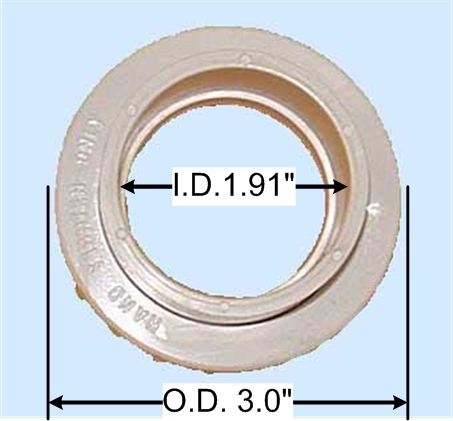 Please check on the table provided for proper model suffix when ordering. 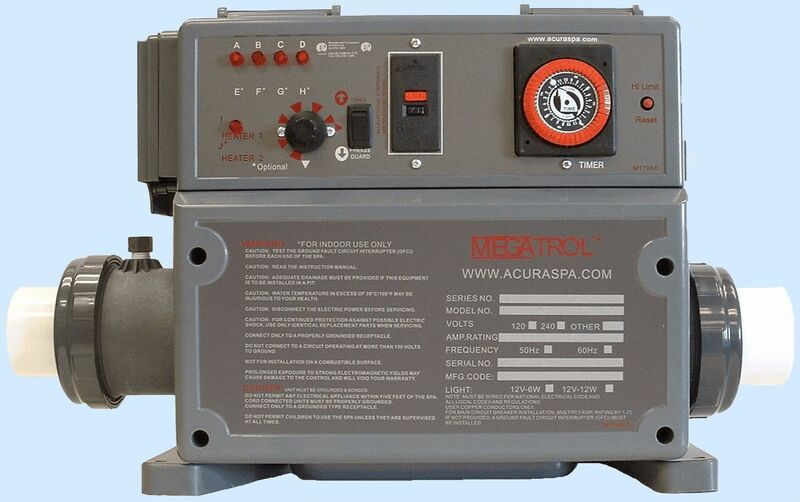 The Mega e-Saver digital control in its economy mode will only turn "On" the spa heater when it is necessary, as a result you minimize your electrical consumption and keep your spa at the desired temperature setting. 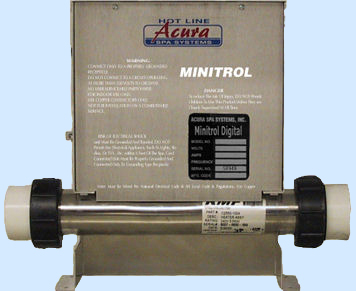 Our digital control will also provide you with four independent filter cycles in a 24 hour period, post use filtration so you can manually activate you filter cycle after each use of your spa, temperature calibration, AM/PM time of day, 100% memory when loosing power just reset your time of day except, trouble shooting guide, lock in desired temperature. 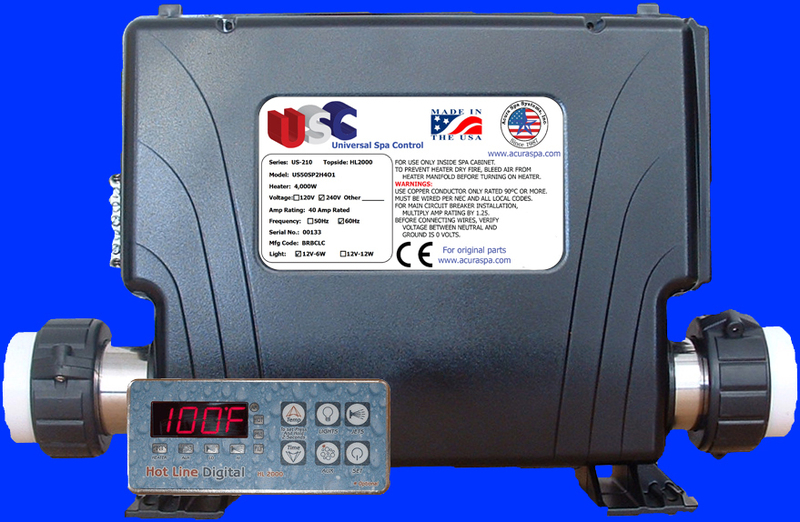 In addition, our Mega e-Saver Digital Control offers features unmatched by any other system: Freeze Guard, Economy mode, Silent mode, Auto thermostat, Heater Cool-Down Cycle and many other features as well as an internal troubleshooting. 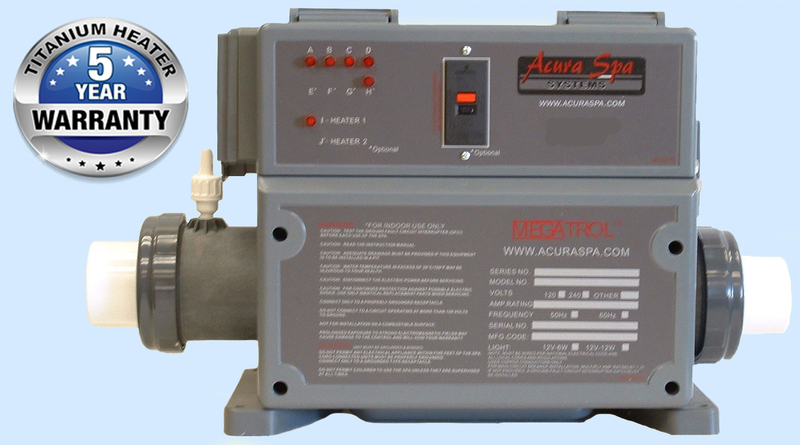 The CHL Digital is powered by an AquaHeat pump. 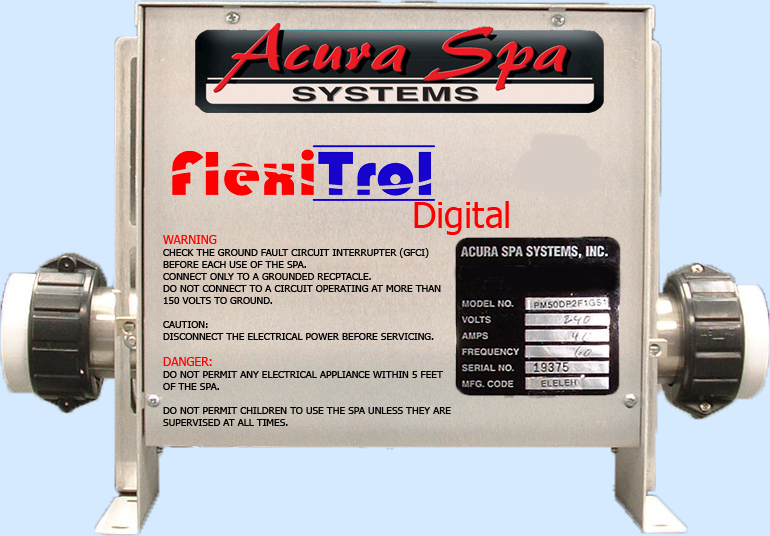 The CHL Digital is also powered by a 66" long coiled heating element with a 5,500 watt output at 240 volts. 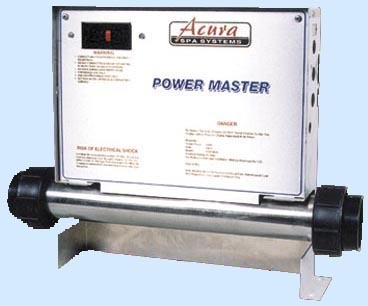 This unique low watt density electric heater is installed in the pump housing and is 100% efficient when transferring electrical energy to heat energy since it is 100% submerged in the water path. 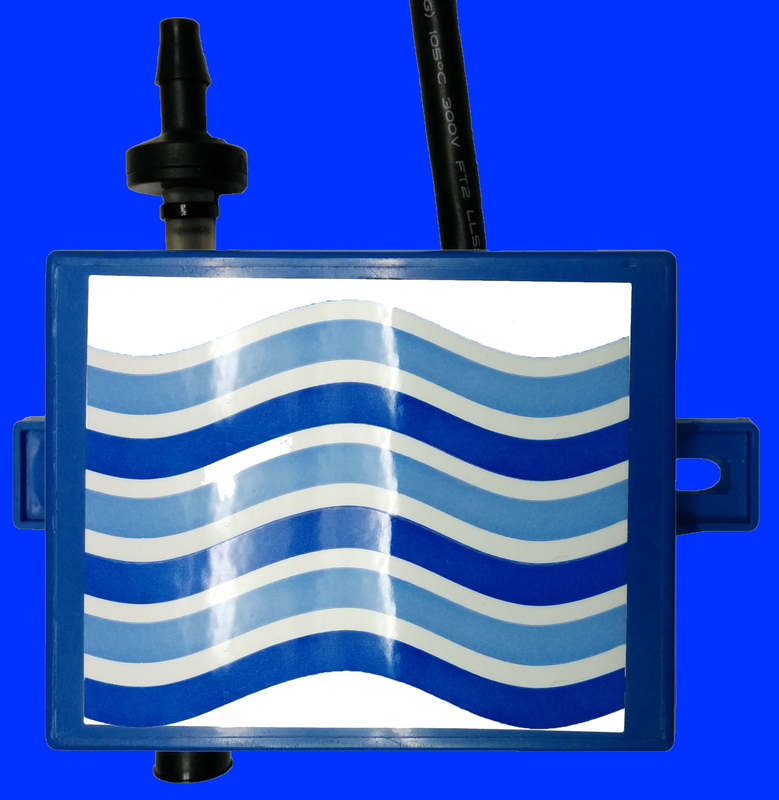 Our unique coiled heater design minimizes the friction loss of water flowing through the pump and optimizes the pumps performance. 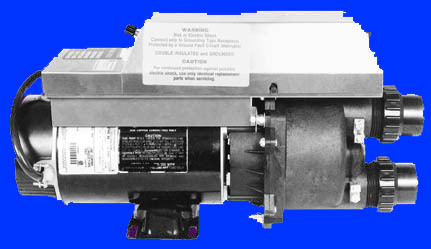 Unlike other spa heater housings where the heater inside the manifold restricts the water flow, forcing consumers to pay for higher horse-power pumps to maintain adequate hydraulic system pressure. 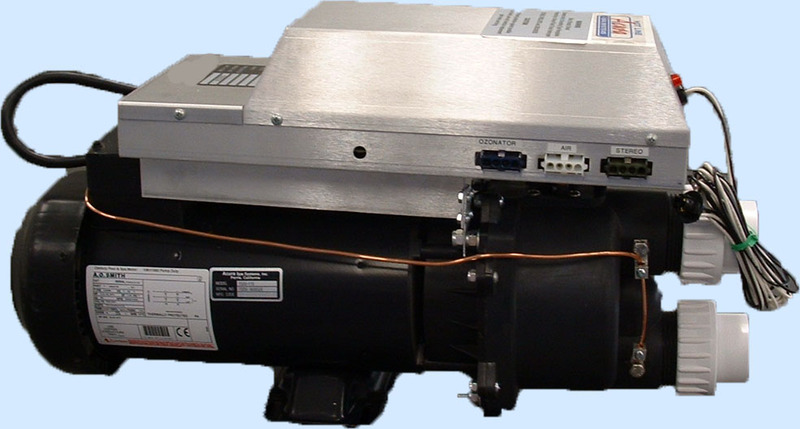 Consumers should be asking for the watt density of the electric heater and not just the wattage, a lower watt density means longer heater life time. 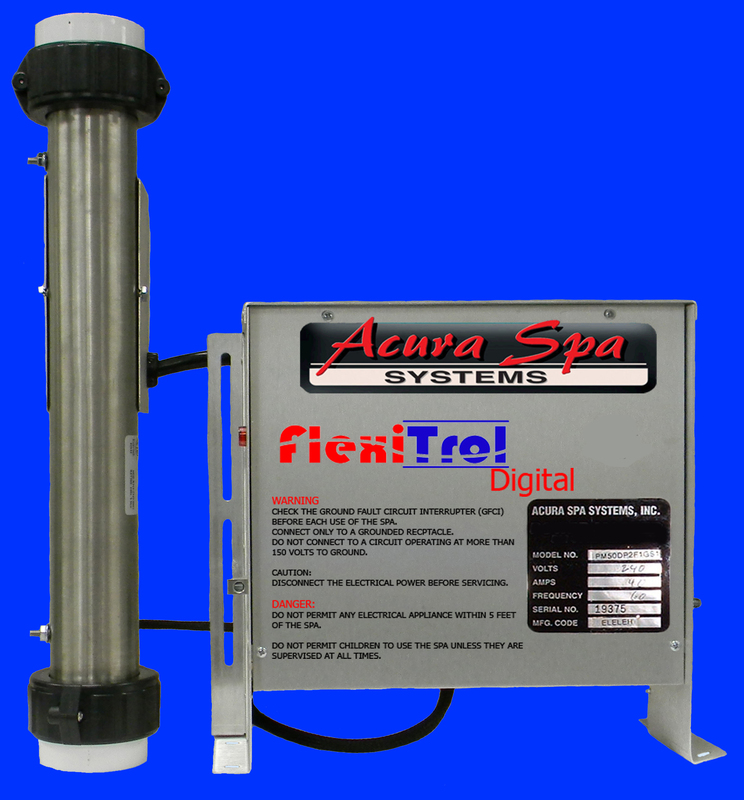 Most spa manufacturers provide a 40" long heating element that has a watt density of 139, our heater has a watt density of 84 providing efficient heating with less strain on the heater.